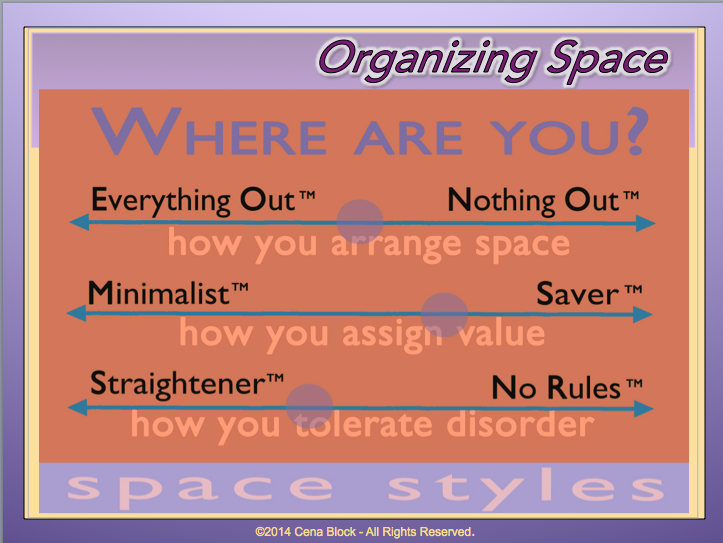 What is your organizing style? 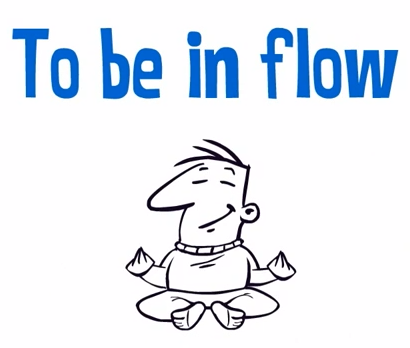 What is your natural flow? ﻿Do you answer "yes" to one or more of the following? Have you purchased organizing products hoping that buying these things would turn your home into a well-organized sanctuary...only to find that what you bought just turned into clutter? Have you tried multiple time management methods that others preach to be the best thing out there that worked for them...without any such luck? Have your organizing attempts ended in half-finished projects? Or finished projects that are completely undone the next day without hope of getting back to order? If any of these situations sounds familiar, then not to worry! You are not alone and you have NOT failed. You have, in fact, figured out what doesn't work so use that to your advantage moving forward. Why staying organized is so hard. One of the organizing fundamentals I emphasize a lot is implementing systems and storage solutions that work WITH your natural habits. 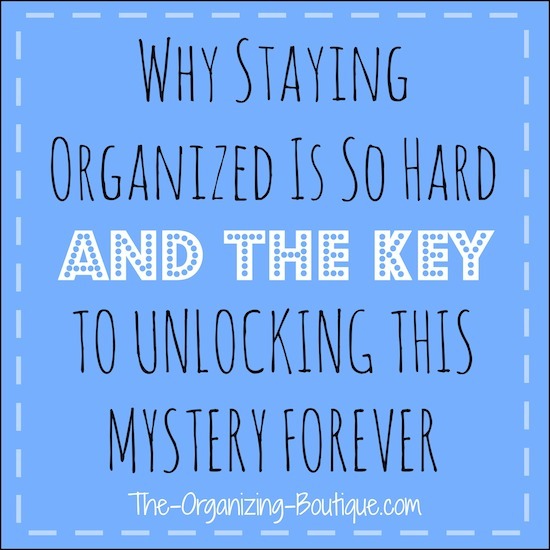 You will never be able to stay organized otherwise, and this is typically the missing piece. Staying organized is so hard because usually there's a lack of customization. How your style preferences can make all the difference in the world of organizing. 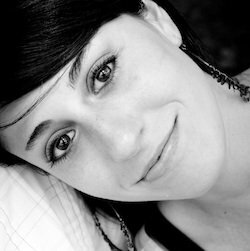 The first thing I do with all new clients (virtual or in-person) is ask a ton of questions in order to figure out their thought process. THEN, I come up with storage solutions that work with that natural flow. The chances of my client successfully adopting the system or keeping the organization maintained are so much higher. For example, I have a client who tends to pile paper haphazardly. There's just so much of it from her accumulating efforts (e.g. printing articles that she wants to refer to later, action items, etc.) that it's super difficult for her to keep up with. Because of that, she ends up piling the paper on her desk without any sort of system. The pile becomes multiple mountains that require huge organizing sessions to get through. By the time procrastination is overcome in order to sort the paper, most of it ends up getting recycled (e.g. coupons that expired, deadlines that have passed, out of date information, etc.). As she came across a piece of paper that required action, she was able to quickly file it in the correct inbox. We also created a place for upcoming events, phone calls that needed to be made and reading. The ease with which she can put the paper in its rightful, labeled spot made the difference between a clean desk and one with mountains of paper. 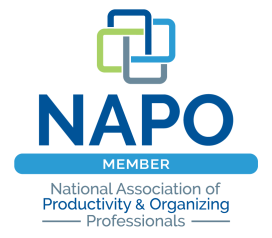 So...knowing your organizing style is THE KEY to implementing solutions that you can stick with in order to get organized once and for all. The next thing you need to do is figure out what your time and space style preferences are. My professional organizer colleague and pal, Cena Block, came up with an assessment tool that helps you do exactly this. It takes all of the guessing out and makes this a straightforward process; it's superb. It's called the Time & Space Style Inventory or TSSI, and I HIGHLY recommend it. You will get a full report with personalized feedback detailing your time and organizing style preferences...so you'll know what your natural flow is and all of the little pieces that make up your tendencies. You will get access to instructional videos and printables that will help you embrace your natural flow including what action steps to take next. With the information that the TSSI provides, you will have everything you need to get organized and manage your time in ways that will stick. This is a fantastic do-it-yourself, but totally customized, solution for getting your life in order. All you need to do now is take the next action step...do the TSSI. Have fun with it, and here's to getting organized!